This is my how to guide on the Chilean version of eBay in English & Spanish, buying, shipping, in Santiago and the rest of the country. For quick access click below. Access both English & Spanish versions of eBay for Chileans with this link — except that Spanish is only available if you are physically located in South America. Step 1. Find the “globe icon” at the top menu. Step 2. Click where it says, “Español” or “English”. Step 3. Language menu will appear for changing locale. To search for and buy items with global shipping, delivery to Chile,please follow these simple instructions to get online shopping at eBay working for you. Not many know this, but there are quite a few eBay sellers that are located within Chile, for cheap shipping of course. Here’s how to check availability. Step 1. Click here for advanced search on eBay in Chile. Step 2. Navigate down on that page until “Location” section. Step 3. In “Location in” choose country as Chile. Step 4. Search for items amongst local sellers. There are other settings too for narrowing down your search. For example, shopping amongst Asian sellers you get competitive pricing in both products and shipping too. Or you can select a range in Kilometers as to which area to cover in your search. But ultimately, eBay is a global marketplace and works great for Chileans and other South American who wish to access the international market. 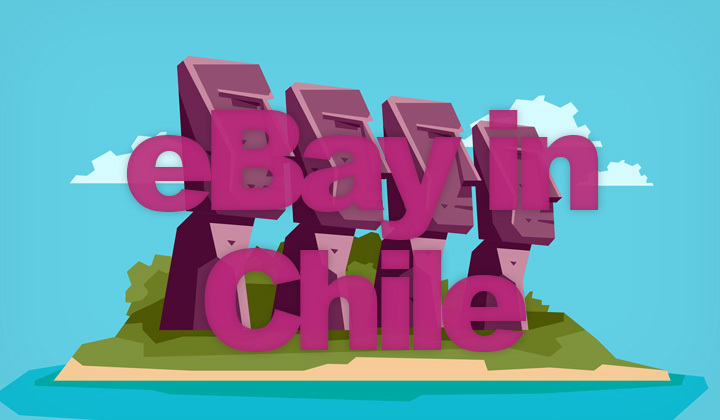 Also eBay is being used by international sellers themselves, wishing to provide access to their products for buyers in Chile, with a convenient English interface. You can read more about their extensive global shipping program for shipping methods as well as business to consumer solutions to Chile. The way the site works, is that it detects your location depending on the internet connection you are using. And the Spanish language option is only served to those who are located in a Spanish speaking region, such as the Latin America. This is also the way it directly attempts to calculate shipping costs. If outside of the country, you can however separately set your country in the settings. There is simply no other way around this restriction. So if you are located in the USA for example, you are stuck with English only. You can however, use the site to order to Chile even when located in another country. Items can be delivered to cities like Santiago, Puente Alto, Antofagasta, Viña del Mar, Valparaíso, Talcahuano, San Bernardo, Temuco, Iquique, Concepción, Rancagua, La Pintana and elsewhere of course. All kinds of questions and comments on e-commerce welcome! Thank you for visiting and reading, David. Please kindly note, the way this blog keeps running and evolving is through affiliate links which are occasionally placed within content. This won’t cost you anything additional and helps me really a lot. Huge thanks for that. Well, what about people outside of Chile wanting to buy Chilean products? Hi. Depends on what you want to purchase? As mentioned there are many Chilean sellers on the global version of eBay. Have you tried searching through there yet? You can buy lapis stones, alpaca clothing.. even moai miniature statues from there. Let me know if you need help with something specific.